The Sunday Times today tells the story of Martin Pistorius, a South African man who ended up paralysed and comatose following a throat infection at the age of 12. 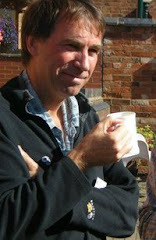 His awareness began to improve four years later and by the age of 19 had fully returned. 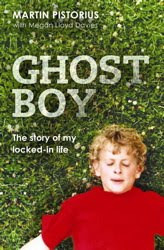 I see that the Daily Mail actually ran the story over a week ago (I missed it at the time) and there is a powerful review by Dominic Lawson of his autobiography, ‘Ghost Boy’ in the Sunday Times today. I’d highly recommend reading all these accounts if you can access them (you need a subscription for the Sunday Times). ‘Locked-in syndrome’ is a rare neurological disorder characterized by complete paralysis of voluntary muscles in all parts of the body except for those that control eye movement. It may result from traumatic brain injury, diseases of the circulatory system, diseases that destroy the myelin sheath surrounding nerve cells, or medication overdose. Individuals with locked-in syndrome are conscious and can think and reason, but are unable to speak or move. The disorder leaves individuals completely mute and paralyzed. Communication may be possible with blinking eye movements. While in rare cases some patients may regain certain functions, the chances for motor recovery are usually very limited. There have been some inspiring stories of people with locked in syndrome rising above their disabilities and regaining some function – including the recent British cases of Kate Allatt, Graham Miles and Nikki Kenward. But the account that made the condition famous was that of Jean-Dominique Bauby, the French editor of Elle magazine, who suffered a severe stroke, from which he never recovered. Aided by a therapist he learnt to communicate by blinking his left eye, the only part of his body that wasn’t paralysed. He described his experiences in the book he ‘dictated’ letter by letter, ‘The Diving Bell and the Butterfly’, which was later made into a 2007 film of the same name. He died three days after the book was published in 1997. If you haven’t seen the film I would thoroughly recommend it. I was particularly struck by the way Bauby, after being initially suicidal, was able to find meaning and purpose in the face of immense suffering and to value what function he had left. He said the two things that his condition could not take away for him, were his memory and his imagination. After you have spent time in the company of such people, you wonder how you can justify complaining about anything ever again. Many naturally assume that people who suffer from such devastating conditions must necessarily end up in deep despair but given the right support and encouragement, it is remarkable what the human spirit is capable of. For Pistorius, Bauby and Hampson, loving relationships which helped to sustain them through the hard times, were crucial in their ability eventually to find hope in the midst of their suffering. It is perhaps somewhat ironic that Pistorius’ case is being highlighted just a day before the Court of Protection reviews the case of Ms M, a woman in her 50s suffering from ‘minimally conscious state’ which she contracted after a bout of encephalitis. M’s mother wants to remove her feeding tube in order that she can be starved and dehydrated to death. Interesting site!!! This information was really helpful. I truly appreciate it. I will visit more often for updates. Keep up the good work!